I put my boost and afr gauges where the vents used to be. I ripped out the A/C stuff anyways so they were just decorative. 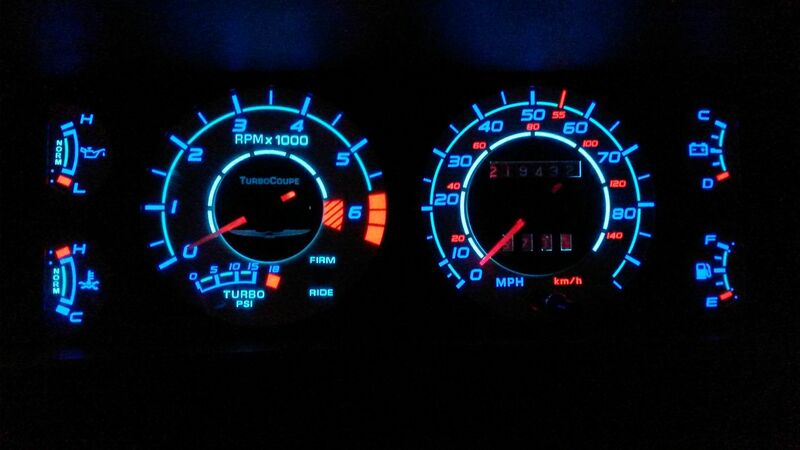 Probably more than you are planning to do but here is some pics of what I did with my dash. Went with AEM instead of Autometer, but went with the 3 most important. 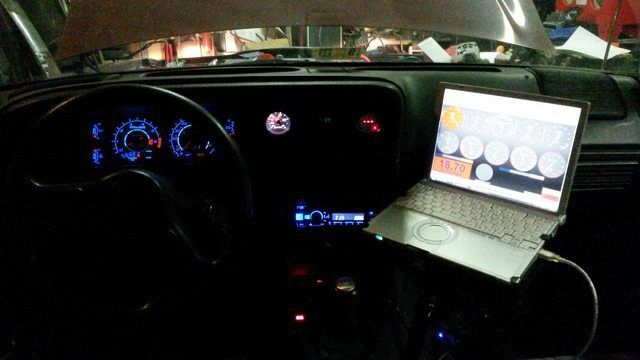 Fuel pressure, Wideband, and Oil pressure. Here is my current setup. Small bracket fabbed up to hold the 5" tach in a Fox Mustang type of location. B do you have those LED cluster faces made that has a separate switch built in to turn on and off? Are they black or white faced in the day? They look awesome at night. Just finished putting together my dash after ripping it all apart to do the V8 tach resistor conversion. Here are some better photos of my gauge setup. Had to re-pin the tach lead back into the harness. Also put in all new backlight LED's and did a solder repair to the flexible printed circuit board. Found a hairline crack causing one of the lamps to not turn on. I also put on a new steering wheel! Here's the after shots. [quote=23027]B do you have those LED cluster faces made that has a separate switch built in to turn on and off? Are they black or white faced in the day? They are electroluminescent overlays tied into the factory wiring. White face. I also have a set of silver face overlays that glow blue like these in a box somewhere.